Encourage imaginative play, promote healthy eating and introduce Mathematical concepts. Fruit cut in half and feature velcro for reattaching. 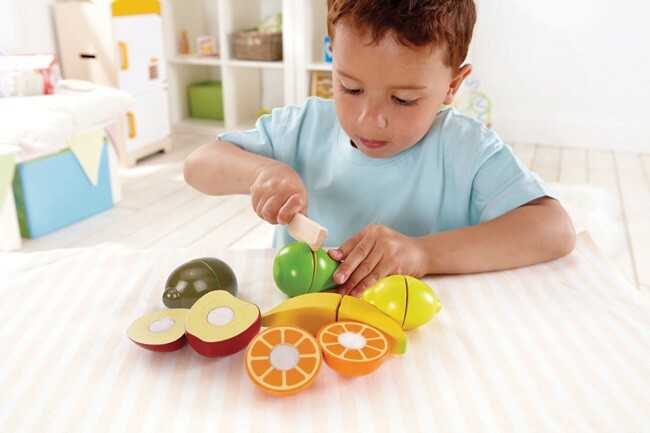 The colourful Seasons Best Fresh Fruit is a wonderful addition to the wooden toys collection. 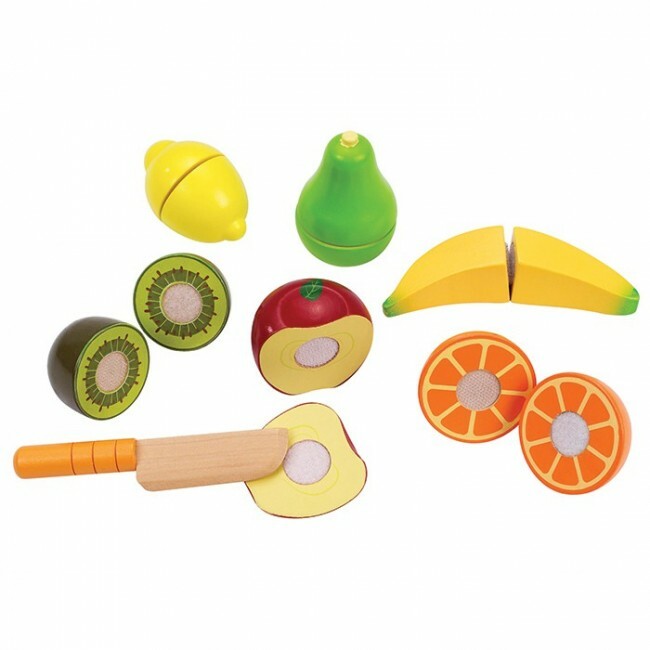 The wooden fruit set includes a variety of colourful fruits and a knife. Great for teaching children about the different fruits, each piece splits in half and can be put back together with velcro. Encouraging imaginative play and promoting healthy eating concepts. 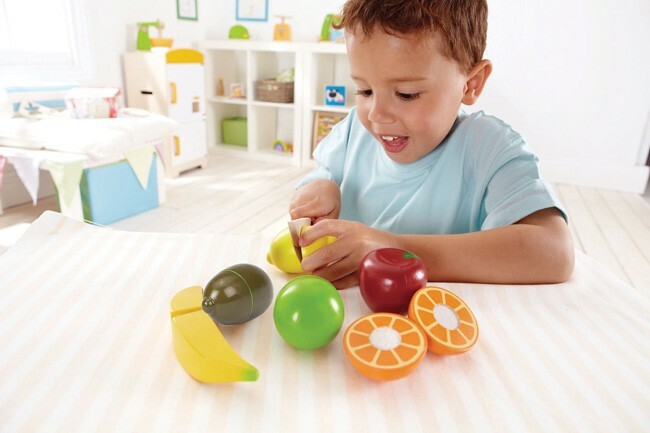 These vibrant Fresh Fruit shapes are a fantastic addition to the Hape Market Stand or Giant Kitchen ( sold separately). Made from quality wood and non-toxic paints. The shapes feature velcro and can be cut in half and then reattached for hours of enjoyment. Fruit set includes fruit: banana, orange, apple, kiwi, pear, lemon and wooden cutting knife.